Match ends, Getafe 0, Leganés 2. 90+3' Second Half ends, Getafe 0, Leganés 2. 90+1' Mathieu Flamini (Getafe) is shown the yellow card for a bad foul. 90+1' Foul by Mathieu Flamini (Getafe). 90+1' Mikel Vesga (Leganés) wins a free kick on the left wing. 88' Jorge Molina (Getafe) wins a free kick in the attacking half. 88' Foul by Rodrigo Tarín (Leganés). 87' Djené Dakonam (Getafe) wins a free kick in the defensive half. 87' Foul by Sabin Merino (Leganés). 87' Substitution, Leganés. Sabin Merino replaces Guido Carrillo. 86' Djené Dakonam (Getafe) is shown the yellow card for a bad foul. 86' Foul by Djené Dakonam (Getafe). 86' Jonathan Silva (Leganés) wins a free kick on the left wing. 85' Attempt missed. Nemanja Maksimovic (Getafe) right footed shot from outside the box misses to the left. 83' Goal! Getafe 0, Leganés 2. Juanfran (Leganés) right footed shot from the right side of the box to the bottom left corner. Assisted by Guido Carrillo following a fast break. 82' Ángel Rodríguez (Getafe) wins a free kick in the attacking half. 82' Foul by Dimitrios Siovas (Leganés). 82' Substitution, Getafe. Vitorino Antunes replaces Mathías Olivera. 81' Djené Dakonam (Getafe) wins a free kick in the defensive half. 81' Foul by Jonathan Silva (Leganés). 80' Corner, Leganés. Conceded by Mathías Olivera. 80' Foul by Mathías Olivera (Getafe). 80' Guido Carrillo (Leganés) wins a free kick in the attacking half. 79' Substitution, Leganés. Juanfran replaces Allan Nyom. 78' Foul by Jorge Molina (Getafe). 76' Attempt missed. Ángel Rodríguez (Getafe) header from the centre of the box is too high. Assisted by Damián Suárez with a cross following a corner. 76' Corner, Getafe. Conceded by Rodrigo Tarín. 75' Iván Cuéllar (Leganés) wins a free kick in the defensive half. 75' Attempt saved. Ángel Rodríguez (Getafe) right footed shot from the left side of the box is saved in the bottom left corner. Assisted by Jaime Mata. 74' Jorge Molina (Getafe) wins a free kick on the left wing. 74' Foul by Unai Bustinza (Leganés). 71' Damián Suárez (Getafe) wins a free kick in the defensive half. 71' Foul by Guido Carrillo (Leganés). 70' Mathías Olivera (Getafe) is shown the yellow card for a bad foul. 70' Foul by Mathías Olivera (Getafe). 70' Rubén Pérez (Leganés) wins a free kick in the defensive half. 68' Substitution, Getafe. Mathieu Flamini replaces Mauro Arambarri. 68' Guido Carrillo (Leganés) is shown the yellow card for a bad foul. 68' Mauro Arambarri (Getafe) wins a free kick in the attacking half. 68' Foul by Guido Carrillo (Leganés). 66' Attempt missed. Guido Carrillo (Leganés) header from the centre of the box is just a bit too high. Assisted by Óscar Rodríguez with a cross following a corner. 65' Damián Suárez (Getafe) is shown the yellow card. 65' Martin Braithwaite (Leganés) is shown the yellow card. 65' Corner, Leganés. Conceded by Mauro Arambarri. 64' Offside, Leganés. Dimitrios Siovas tries a through ball, but Martin Braithwaite is caught offside. 63' Ángel Rodríguez (Getafe) wins a free kick in the defensive half. 63' Foul by Unai Bustinza (Leganés). 61' Substitution, Leganés. Martin Braithwaite replaces Michael Santos. 60' Foul by Jorge Molina (Getafe). 60' Unai Bustinza (Leganés) wins a free kick in the defensive half. 59' Francisco Portillo (Getafe) wins a free kick in the defensive half. 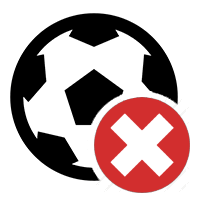 59' Foul by Guido Carrillo (Leganés). 58' Attempt missed. Ángel Rodríguez (Getafe) right footed shot from outside the box is too high. 57' Substitution, Getafe. 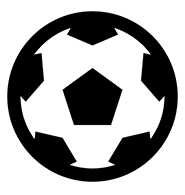 Ángel Rodríguez replaces Dimitri Foulquier. 57' Francisco Portillo (Getafe) wins a free kick on the right wing. 54' Foul by Jorge Molina (Getafe). 54' Dimitrios Siovas (Leganés) wins a free kick on the left wing. 53' Mauro Arambarri (Getafe) wins a free kick in the defensive half. 53' Foul by Jonathan Silva (Leganés). 52' Attempt missed. Leandro Cabrera (Getafe) with an attempt from the centre of the box misses to the right. Assisted by Damián Suárez with a cross following a set piece situation. 51' Mathías Olivera (Getafe) wins a free kick on the left wing. 51' Foul by Allan Nyom (Leganés). 50' VAR: Goal. Referee decision on field cancelled. 50' Delay in match (Getafe). Video Review. 49' Goal! Getafe 0, Leganés 1. Michael Santos (Leganés) header from the left side of the six yard box to the top left corner. Assisted by Jonathan Silva with a cross following a set piece situation. 48' Hand ball by Jaime Mata (Getafe). 48' Foul by Francisco Portillo (Getafe). 48' Rubén Pérez (Leganés) wins a free kick in the defensive half. Second Half begins Getafe 0, Leganés 0. 45+2' First Half ends, Getafe 0, Leganés 0. 45+1' Mauro Arambarri (Getafe) wins a free kick in the defensive half. 45+1' Foul by Michael Santos (Leganés). 44' Corner, Leganés. Conceded by Leandro Cabrera. 41' Foul by Mathías Olivera (Getafe). 41' Guido Carrillo (Leganés) wins a free kick in the defensive half. 40' Delay in match David Soria (Getafe) because of an injury. 37' Jaime Mata (Getafe) wins a free kick in the defensive half. 37' Dangerous play by Rubén Pérez (Leganés). 37' Foul by Jaime Mata (Getafe). 37' Unai Bustinza (Leganés) wins a free kick in the defensive half. 36' Attempt saved. Mauro Arambarri (Getafe) right footed shot from the centre of the box is saved in the top centre of the goal. 35' Corner, Getafe. Conceded by Unai Bustinza. 33' Djené Dakonam (Getafe) wins a free kick in the defensive half. 33' Foul by Michael Santos (Leganés). 31' Jorge Molina (Getafe) wins a free kick on the right wing. 31' Foul by Dimitrios Siovas (Leganés). 29' Leandro Cabrera (Getafe) wins a free kick in the defensive half. 29' Foul by Michael Santos (Leganés). 28' Attempt missed. Michael Santos (Leganés) left footed shot from the left side of the box misses to the right. Assisted by Guido Carrillo with a through ball. 27' Offside, Leganés. Guido Carrillo tries a through ball, but Michael Santos is caught offside. 26' Attempt missed. Nemanja Maksimovic (Getafe) right footed shot from outside the box misses to the left. Assisted by Dimitri Foulquier. 24' Francisco Portillo (Getafe) wins a free kick on the right wing. 24' Foul by Jonathan Silva (Leganés). 23' Corner, Getafe. Conceded by Rubén Pérez. 23' Attempt blocked. Mauro Arambarri (Getafe) right footed shot from outside the box is blocked. Assisted by Dimitri Foulquier. 22' Jorge Molina (Getafe) wins a free kick in the defensive half. 22' Foul by Rodrigo Tarín (Leganés). 20' Offside, Leganés. Óscar Rodríguez tries a through ball, but Michael Santos is caught offside. 18' Offside, Leganés. Dimitrios Siovas tries a through ball, but Michael Santos is caught offside. 18' Corner, Leganés. Conceded by Leandro Cabrera. 18' Penalty saved! Guido Carrillo (Leganés) fails to capitalise on this great opportunity, right footed shot saved in the centre of the goal. 17' Nemanja Maksimovic (Getafe) is shown the yellow card for hand ball. 17' Penalty conceded by Nemanja Maksimovic (Getafe) with a hand ball in the penalty area. 17' Attempt blocked. Óscar Rodríguez (Leganés) right footed shot from the centre of the box is blocked. Assisted by Mikel Vesga. 15' Dimitri Foulquier (Getafe) wins a free kick in the defensive half. 15' Foul by Guido Carrillo (Leganés). 15' Attempt missed. Jaime Mata (Getafe) right footed shot from the centre of the box is too high. Assisted by Jorge Molina. 11' Leandro Cabrera (Getafe) wins a free kick on the left wing. 11' Foul by Michael Santos (Leganés). 11' Hand ball by Guido Carrillo (Leganés). 10' Foul by Michael Santos (Leganés). 9' Foul by Dimitrios Siovas (Leganés). 9' Jaime Mata (Getafe) wins a free kick in the defensive half. 8' Jonathan Silva (Leganés) wins a free kick in the defensive half. 8' Foul by Dimitri Foulquier (Getafe). 6' Foul by Allan Nyom (Leganés). 6' Francisco Portillo (Getafe) wins a free kick on the left wing. 3' Attempt missed. Michael Santos (Leganés) header from the centre of the box misses to the left. Assisted by Allan Nyom with a cross.